Campaign Monitor launched new features including advanced segmentation, emails based on behavioural customer data, activity-triggered email journeys allowing for further email content personalisation. Campaign Monitor, a well-known email service provider used by 200.000 companies around the world, introduced new behaviour based email marketing features. According to the email software provider, using personalisation can increase average revenue by 20%. 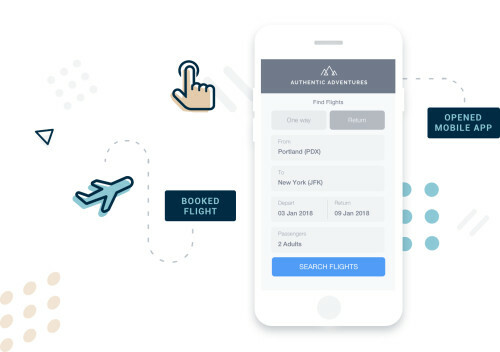 These new features help segment and automate personalised journeys in order to improve results. Let’s see what the new updates are. Campaign Monitor launched 3 new ways to bring in more information about consumers behaviour into the tool. According to them, there is no limit to the number of data sources you can integrate. 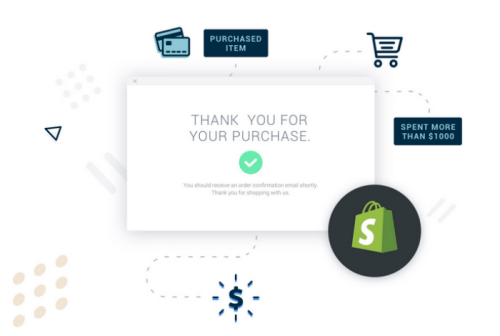 Campaign Monitor users can use Shopify data integration for customer segmentation. Information about various activities can be sent via Campaign Monitor’s API. These activities can include data from applications like the user’s products, mobile apps, booking system, or data warehouse. Secondly, Campaign Monitor launched a new audience builder that allows building dynamic, behaviour-based segments. 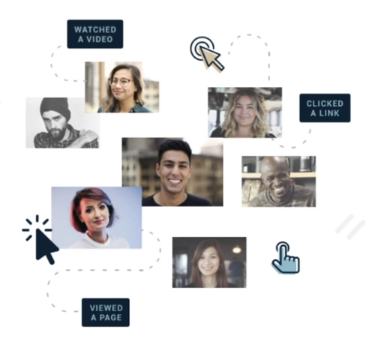 In this tool, data can be used to create groups based on how consumers are behaving, how often they engage, and other information captured, and deliver the most relevant content to the subscribers. Automatically move individuals in or out segments. Combine behavior with static subscriber data. Use relative dates and aggregation to refine the segments. 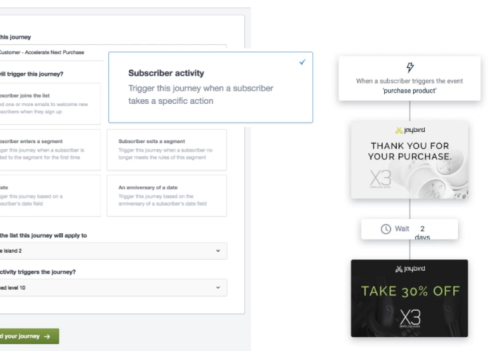 Campaign Monitor users could already setup automatic triggers and choose a desired action to trigger emails relevant to their place in the customer journey. The new triggered journey builder is very similar to what Campaign Monitor had before. What is different in the new release is that behavioural data can now also be part of the journey, making the triggers more personalised. Setting up these triggers will often require some help from a technical apt person / developer to make sure that the right data sources are in place. 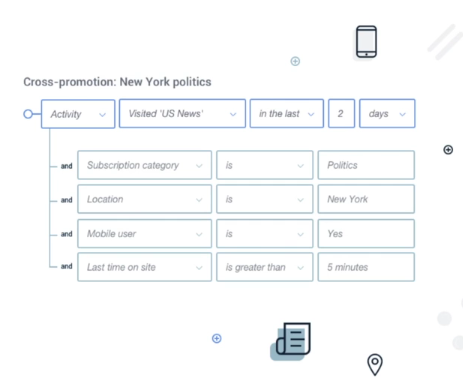 Campaign Monitor introduced a new content type within the drag-and-drop email builder. The custom code block is available through behavioural based triggers. 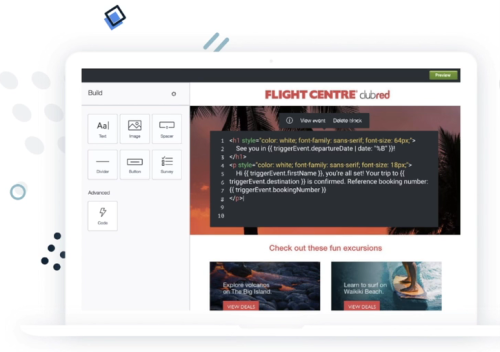 It allows users to code within the email itself and help deliver scripted / coded content to each individual subscriber. This would require a developer who has some experience with (email) html. If you are doing email marketing for a travel company, for example, you could for example trigger a personalised email for its VIP member who booked a flight. The email with details for their trip will be sent automatically and include some excursions to make their vacation planning more complete. 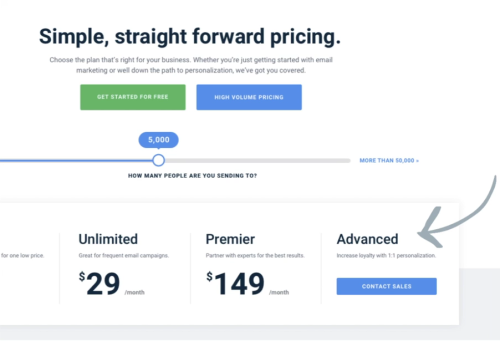 On Campaign Monitor’s pricing page visitors can see the newly introduced package, called the “Advanced” plan. This includes everything that is already in the “Premier” package plus all the new behaviour email marketing features, as well as a dedicated Customer Support Manager. The CSM facilitates all the upgrades via the Sales team and guides the Campaign Monitor customers through what they need for their business. Exact pricing will be given to each company specifically upon request. Campaign Monitor explains more about behavioral email marketing and the features in the webinar below. Beata worked for Nike for 10 years, where she grew the email marketing channel to a substantial sales driver, a brand and content marketing tool. Her experience expands to the intercultural European and global marketplace. Beata has a background in digital and brand marketing and their connection to the email channel. She believes that consistent marketing messaging across all channels and seamless end-to-end consumer journey lead to successful results and happy consumers. Beata has “gone solo” with her own consultancy to develop digital marketing strategies. Helping brands reaching their goals and their consumers in a meaningful way. May it be strategic planning, optimization, and analysis to tactical executions Beata has a hands-on approach.